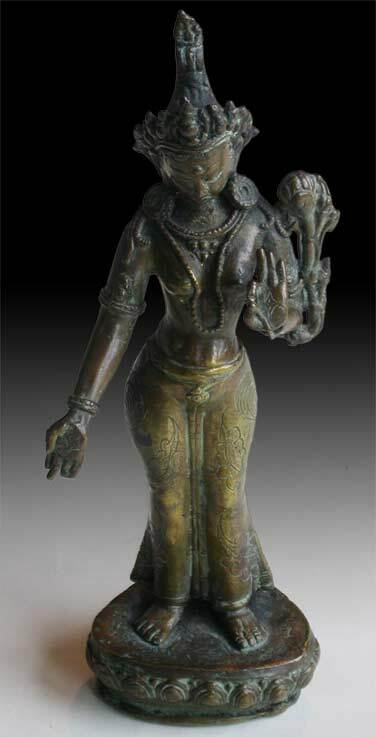 A lotus-bearing goddess may represent almost any female deity. 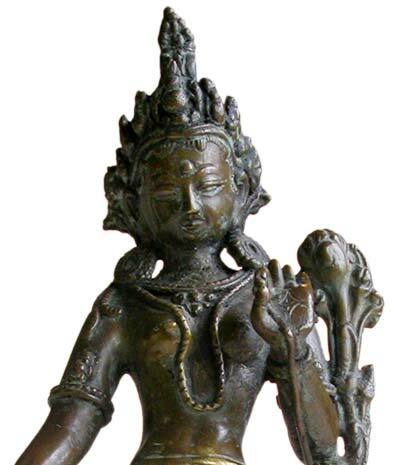 The fact that her left hand is in vitarka mudra with a lotus, and right hand is in varada mudra, indicates that she is Tara, the great savior and goddess of mercy in the Mahayana tradition. 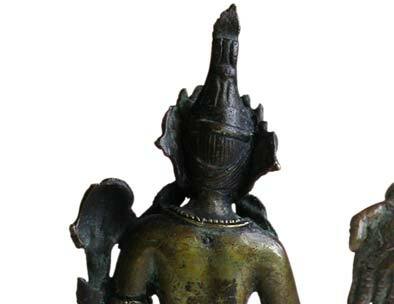 The legend of Tara is that she was born from the compassionate tears of Avalokiteshvara. The tear that fell from his left eye became Green Tara the protective deity; the tear from his right eye became White Tara the Goddess of Long Life. 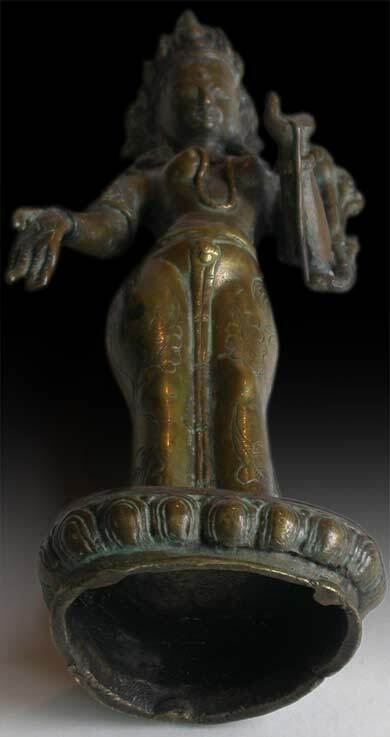 Tara, the most popular goddess in Nepal and Tibet, stands here in a restrained tribhanga on a circular lotus base, her pelvis gently thrust forward, wearing a close-fitting dhoti, foliated arm bands, necklace, earrings and tall crown. Her garment is decorated with incised floral motifs. 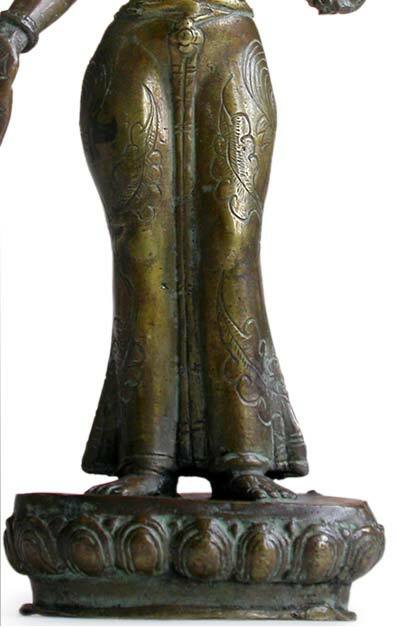 The aged bronze has random patches of green patina scattered over a reddish copper hue. 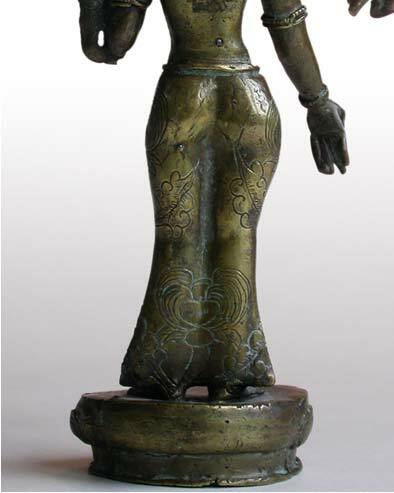 Possibly from worship and handling through the ages, the statue radiates with a quiet glow that emanates spiritual essence.